Although I’m not certain, I have a sneaking suspicion that my non-food-obsessed friends might be a little afraid of offering up restaurant recommendations to me. I think it’s the slim possibility of a bad meal and a ridiculing review to follow that keeps them mum. I was recently made aware of this situation when making plans to lunch with my friends William and Anne from college. Since William grew up in Monterey Park and knew his way around the San Gabriel Valley’s panoply of delights, I asked him to choose our dining destination. William hemmed and hawed, and after a dozen or so email exchanges, he still couldn’t offer up a single restaurant name. His nervous reaction had me feeling unnerved and even questioning my restaurant snobbery. Am I really that difficult to please? It’s a distinct possibility. 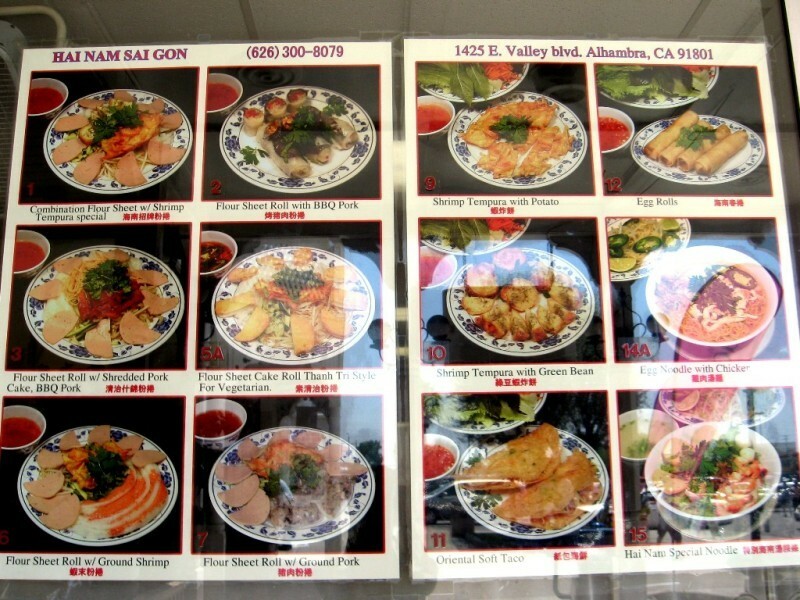 I felt like I took a huge weight off William’s shoulders when I suggested Bánh Cuốn Hai Nam Saigon in Alhambra. I had been wanting to try this restaurant ever since gas•tron•o•my reader Sharon recommended it to me, and this was the clearly the perfect opportunity. The small eatery was packed on the Sunday afternoon we dined. I was happy to see large groups of friends and smiling families gathering around communal tables sharing huge plates of banh cuon. The positive vibes emanating from patrons had me in good spirits and excited about my meal. One of the huge pluses of dining with people who “eat to live” was reigning supreme over the ordering. Vietnamese rice flour crêpes prepared in every which way are the specialty at Bánh Cuốn Hai Nam, so I ordered three different varieties to share. The Banh Cuon Dac Biet Hai Nam ($5.80) arrived first. The restaurant’s “special” platter consisted of an ample mound of rice flour crêpes topped with chả lụa (Vietnamese pork sausage), bánh cóng (battered and deep-fried mung beans, shredded taro root, and shrimps), bánh tôm hồ tây (battered and deep-fried julienned sweet potatoes with shrimp), mint, fried shallots, cucumber, and blanched bean sprouts. We drenched our banh cuon in nuoc mam, which was available in a huge jug tableside. In the pantheon of Vietnamese dishes, banh cuon is one of the easier ones to get right, just as long as the crêpes aren’t too thick and the toppings aren’t too greasy. The flavors here were right on and wholly satisfying. The varied selection of toppings made the dac biet platter a fantastic choice. Next, we dug into Banh Uot Thanh Tri ($5.15). I specifically ordered this dish because I was curious as to what “Thanh Tri”-style banh uot entailed. Even after polishing off the plate, I couldn’t figure out what made it particularly notable. When I arrived home, I powered up the Internet to investigate. I found that the dish originated in Thanh Tri, a neighborhood outside of Hanoi. I also found a Chowhound thread discussing the very topic. 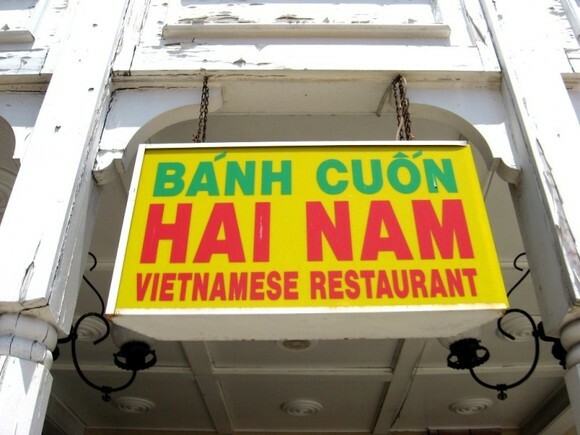 According to Alice Patis of Alice’s Guide To Vietnamese Banh, “Thanh tri is basically just non-rolled, non-filled [crêpes].” I also asked my mother and grandmother their thoughts. They both believe that the only difference is semantics—Southerners call it banh uot, while Northerners call it banh uot Thanh Tri. The bottom line is that the flavors are more or less “same, same,” especially when doused in nuoc mam. Lastly, we went to town on the Banh Uot Cuon Nhan Thit ($5.25), crêpes stuffed with ground pork and wood ear mushrooms. The crêpes were nice and thin, while the filling was well-seasoned and plentiful. I would’ve appreciated a slightly warmer temperature, but it was solid product regardless. UPDATED: The Astronomer and I revisted this restaurant with my mom and had a terrible experience. The food was subpar, especially the nuoc mam, and we found a dead cockroach beneath the table. Gross and grosser. I am definitely not returning here anytime soon. The consistent French influence in Vietnamese cooking is quite possibly the one thing that attracts me the most to it. It distinguishes it from all other types of Asian cuisine, and I honestly think it makes it the most unique. Everything you had looks spectacular, healthy, and made with a special skill that can’t be taught in any culinary school. I’m so jealous! 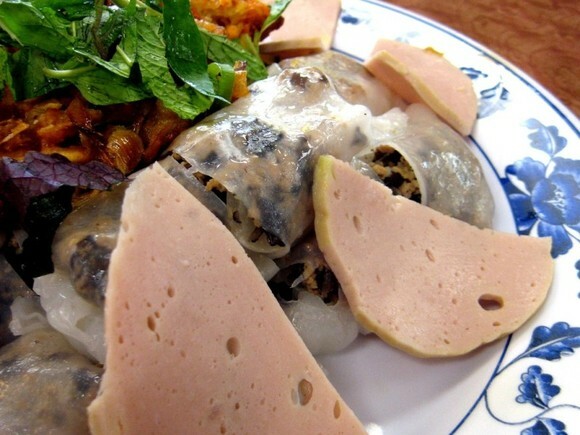 I miss having banh cuon for breakfast! My neighbour makes them and they’re quite good; however, I have to order like 50 at a time so I’ve only ordered some when my family visits. 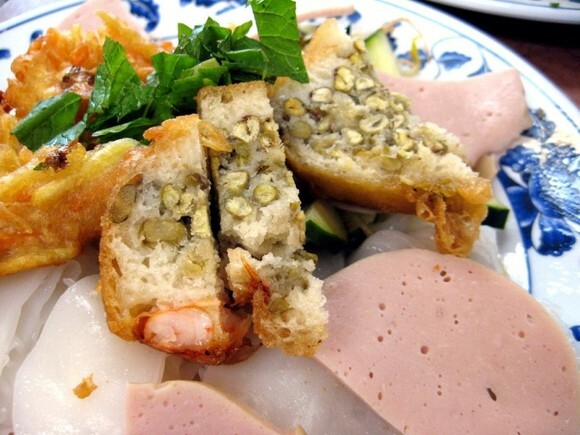 I can’t wait to go to Cali and have Viet food!! My friends almost always make me pick the restaurant when we are going out. On the one hand, I like the control, but on the other, I get annoyed having to always be the decision maker!! So, what do you recommend a 1st timer & non-VN to order here? how much did your companion like it? 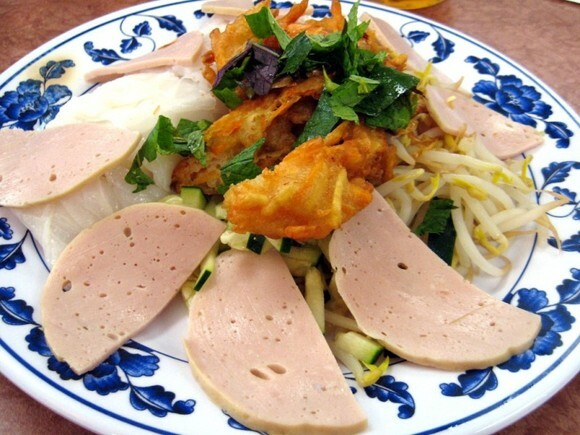 CP – I’d recommend the #1 house special platter or the Banh Uot Cuon Nhan Thit. My companion had actually eaten here before since he grew up in the area. A filling breakfast for five bucks? You bet your boots that’s a good deal!